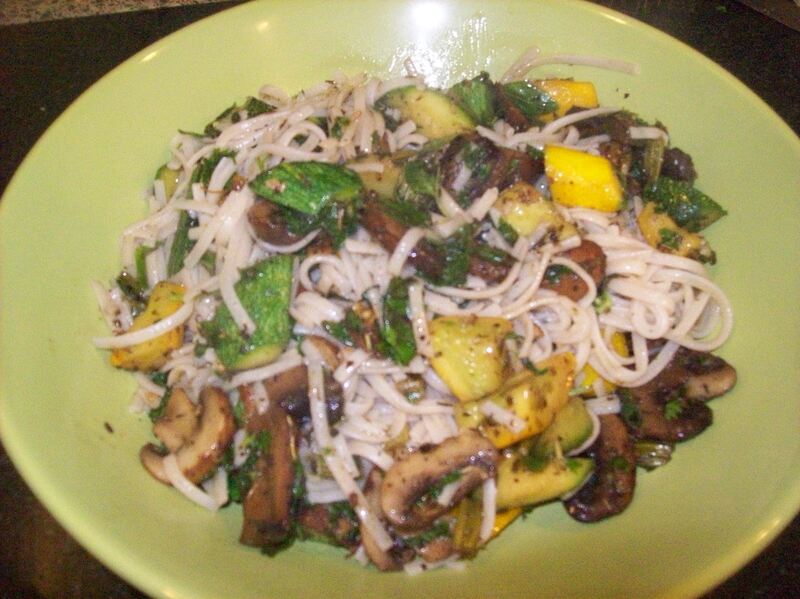 Garden fresh – brown rice soba noodles with courgettes and herbs | Life's Conundrum - Eat to Live or Live to Eat? With Anna away in India for three weeks I have been pretty lazy on the cooking front and coping with quick fruit salads, smoothies and omelettes. Today I decided to use up the last of the courgettes from the garden and garnished it with a combination of herbs (plucked fresh from our herb patch). The end result is worthy of being replicated for Anna when she gets back as I think she will like it. Boil your noodles or pasta and keep aside. Heat pan and add olive oil and garlic and saute for a minute. Add the celery and saute for a couple of minutes before adding the courgettes and mushrooms. Stir for 5 minutes before sprinkling the Italian seasoning, salt and pepper. Garnish with chopped herbs and add cooked noodles to the pan. Toss around till the noodles are well coated and serve up in a large bowl. Enjoy. 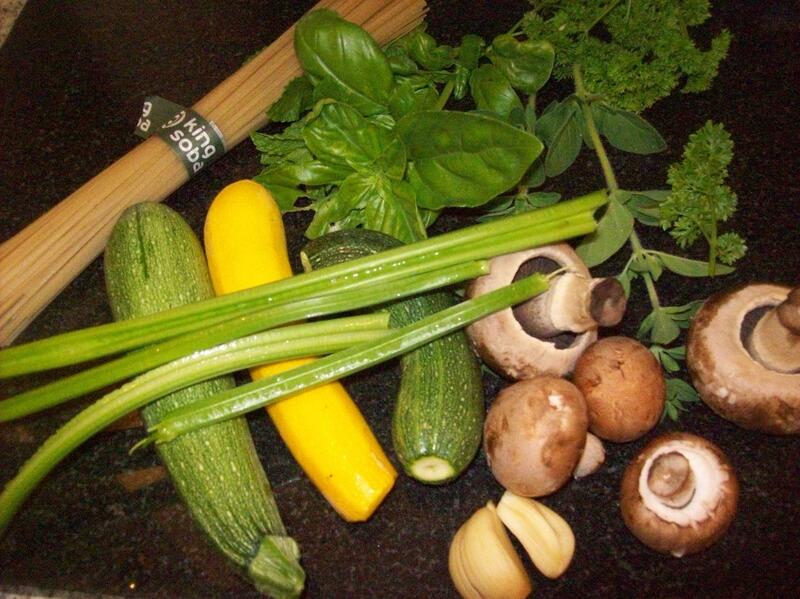 Posted on July 25, 2013 by Anna and Shiv	• This entry was posted in Quick meals, Recipes and tagged Celery, Cook, Garlic, Gluten-free diet, Home, India, Olive oil, Zucchini. Bookmark the permalink.